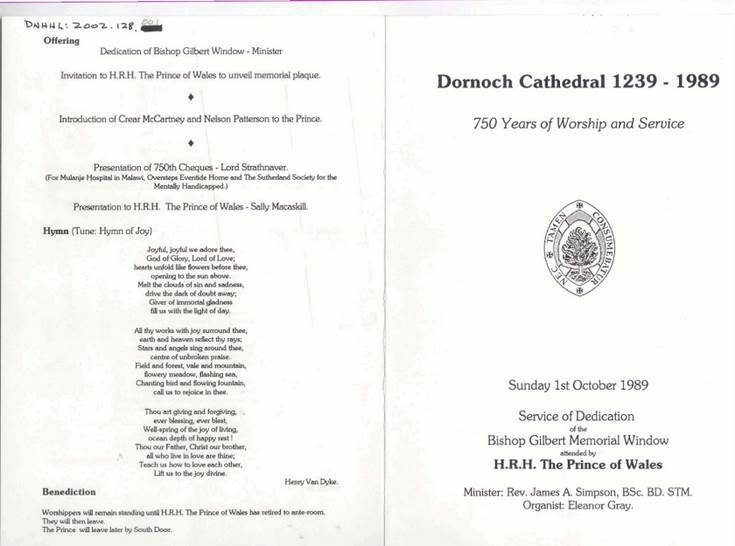 Order of Service for the dedication of the Bishop Gilbert memorial window in Dornoch Cathedral, October 1st 1989, attended by HRH the Prince of Wales. Part of 750th anniversary celebration. Single folded sheet.